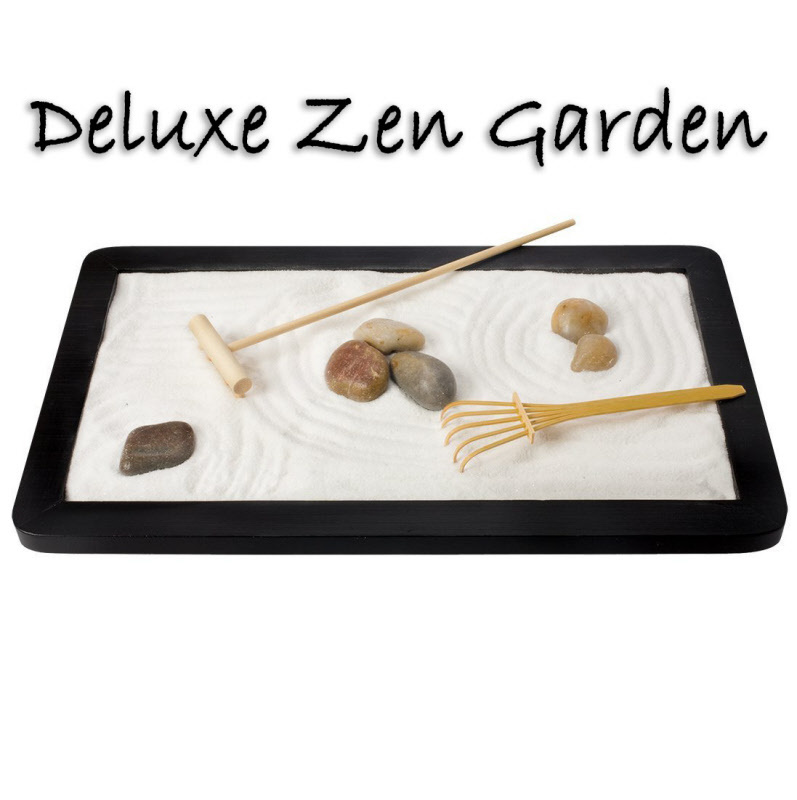 Relax your mind, body, and spirit with the Zen Garden by Toy Smith. Everything you need to participate in the centuries old art of Zen Gardening is included in this kit. Includes the wooden tray, purified sand, rocks, and rake. Great for a conversation piece, or center piece. The ultimate gift for those who need peace in their life.